Change your transmission fluid every 25,000 miles. Check for potential problems before they happen. Wise car owners take the time and pay a little now to maintain their cars on schedule. The rest do late or no maintenance and pay a lot for towing & repairs. It’s your choice… It’s Your Car! Some Car Manufacturers have increased their oil change intervals to as high as 30,000 miles. Do they have some secret in their engines that all other companies don’t have? No. But it sure sounds good when you’re trying to sell a $50,000 car. 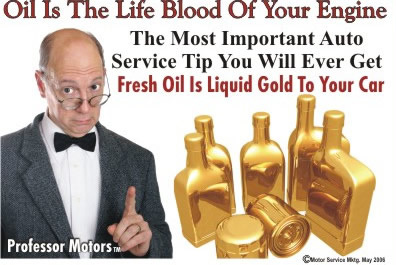 Some Car Manufacturers are offering lifetime guarantees on your engine, but only if you change your oil every 3,000 miles for regular oil or 5,000 miles for synthetic. So who’s right? 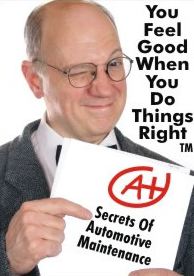 Engineers, oil companies and top auto service technicians (who aren’t trying to sell you a car) all agree. The 3,000/5,000 rule is still the best and safest policy for your car, no matter what make or model you have. That’s what they do on their own cars and that’s what you should do too. Agape Auto Maintenance Keeps You Running Now and Years to Come.